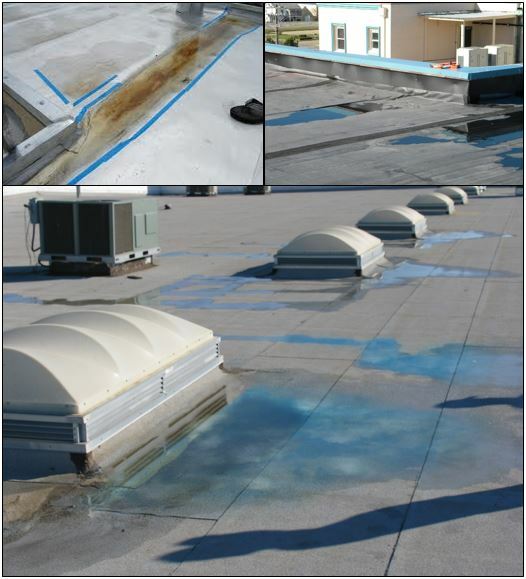 Protecting the integrity of roofing systems is a priority for property managers and business owners alike. Water can pond on flat roofs following heavy rains or snow melts. 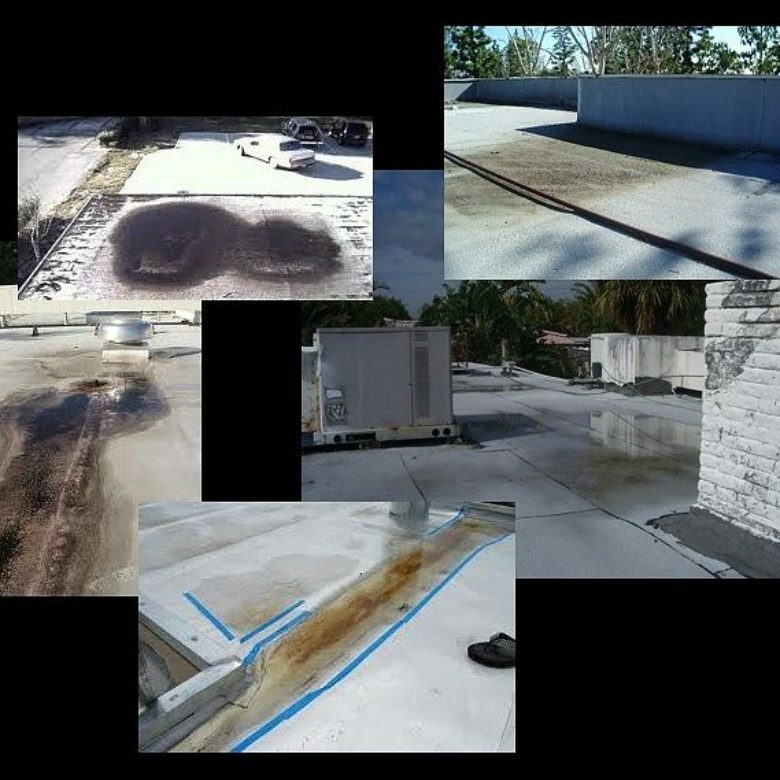 For this reason roofers should employ the following 5 tactics to reduce call backs for ponding water on flat roofs. Inspect Insulation: Roof insulation becomes damaged or crushed due to excessive saturation or foot traffic. When the insulation compresses it causes an indentation in the roof, allowing for water and debris to collect. If the water does not evaporate, these pools can cause major damage. Roofers can check the insulation of the roof to see if it has been compromised and needs replacing. If, however, replacing the insulation does not correct the problem, it could mean there is a more serious drainage problem. Look for Structural Problems: The age of a building does not factor into ponding water issues. Both new and old buildings can have these problems. Generally the factor that both types of buildings would have in common is structural problems. Due to irregularities in the design, such as deformed beams, can cause the pooling of water. Only a professional roofer can diagnose the severity of the structural problems on a building. Some problems are easily remedied by adding insulation to reduce the ponding water, but some issues may warrant complicated and costly repairs. 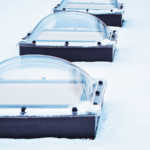 Inspect Unprotected Roof Top Units and Skylights: Some roofs have elements that are targets for pooling water. This can include skylight windows, as well as large roof top units such as a HVAC unit. Upon inspection, roofers will assess the area and determine whether a cricket is necessary to prevent the water from ponding. Crickets are triangular-shaped pieces of tapered insulation which direct water away from the base of roof units or skylights. Search for Poor Drainage: Another factor that causes ponding water on flat roofs is improperly installed drains. When water does not flow towards drains, it pools instead of moving away from the roof as it should. Generally, this is an easy fix, but a professional roofer will assess how severe the drainage problem is on the roof. Investigate Material Expansion and Contraction: Every material used for roofing will expand and contract due to fluctuations in the temperature. This is true for wood, metal, and even concrete. While this is natural process, it can cause structural problems. These problems will increase the likelihood of ponding water and damage to the roof. 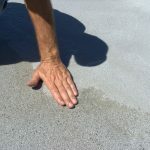 When inspecting a ponding water issue, roofers will check for the changes in these materials. In order to reduce call backs for ponding water, roofers should inspect these top 5 areas of concern. This not only prevents return trips to job sites, but also ensures that issues are resolved before they can compound into costly repairs. In turn, confirming the confidence of your customer in your work and upholding your reputation. Catching ponding water early can greatly extend the life of a roof and slow its aging process. 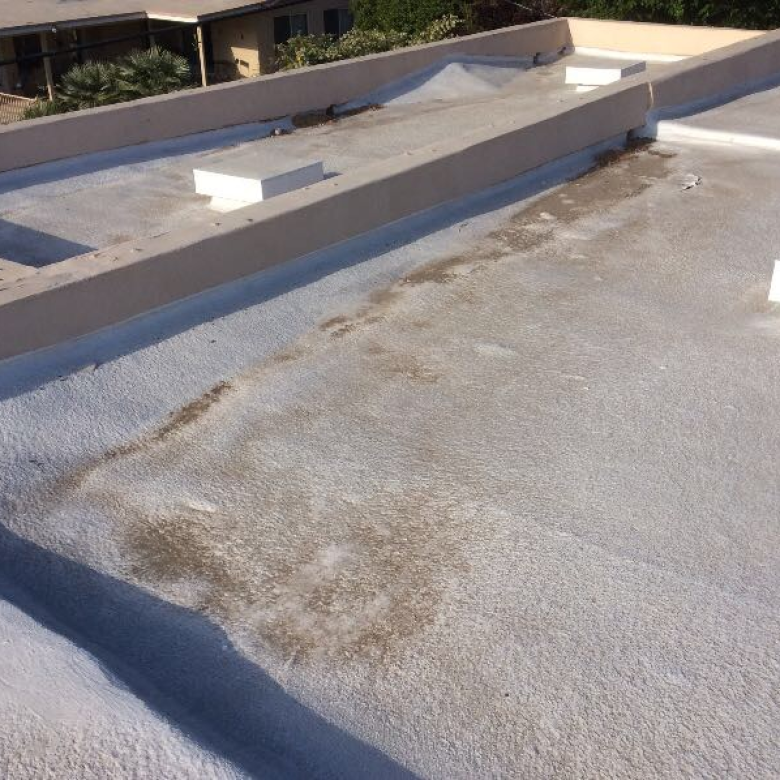 Ponding water causes degradation of the roofing materials and intensifies the amount of UV damage on roofs. Pools of dark debris containing both water and dirt also threaten the integrity of the membrane. After evaporation, these dark masses heat up in the sunlight and cause strain on the membrane. For this reason, it is crucial for roofers to perform a thorough inspection to catch all these potential problem areas. Maintaining the roofing system of any business or property is necessary to protect the building from costly water damage. Contact us today for more information on water ponding or any questions regarding the roof of your business.